In November 2001, the South Korean press reported that the No. 38 Factory in Hŭich'ŏn, Chagang Province produces missiles. According to reports, the No. 38 Factory is called the "Youth Electric Complex." However, it is still unclear what types of missiles this factory produces. Lee Kyo Kwan, "Kunsugongjang'en Iltan Tŭl'ŏgamyŏn 'Maldduk Kŭnmu'," Chosun Ilbo, 26 October 2001, p. 54, in KINDS, www.kinds.or.kr. 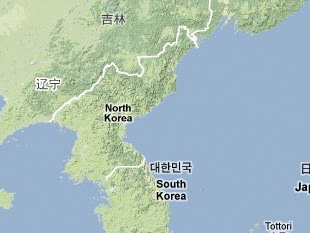 "NK's Munitions Factories Housed Mainly Underground," Chosun Ilbo, 25 October 2001, http://english.chosun.com. Chosun Ilbo, 25 October 2001, in "DPRK's Munitions Factories Introduced," FBIS Document ID KPP20011027000048.